The Penmen Review is Southern New Hampshire University’s online journal for creative writers, featuring resource articles, spotlight interviews and writing in all genres, selected by our editorial board from submitted work. The Penmen Review accepts submissions 12 times a year and new submission cycles begin on the first day of each month. Simultaneous submissions are accepted and writers retain all rights to their work. There are no submission fees for writers for submissions nor are fees paid. Meet The Penmen Review editorial board. More than 500 writers submitted short stories to Southern New Hampshire University’s 2018 Fall Fiction Contest. The top five finalists were recognized with writing-themed packages. Learn more about the winners here. 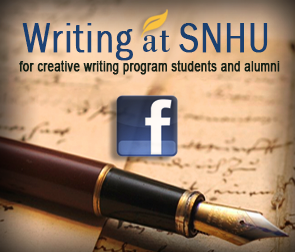 Visit the Southern New Hampshire University website for more information on undergraduate, graduate and MFA online degrees in creative writing. Let’s face it, writing is hell.